From iOS 7 that was announced last year, Apple iPhone or iPad users even without a developer account can install the Beta version of Apple’s iOS easily. However, one of the crucial step is where you should click the Update button instead of the Restore button, and this is the place where most of the people make mistake. This device is not registered as part of the iPhone Developer Program. 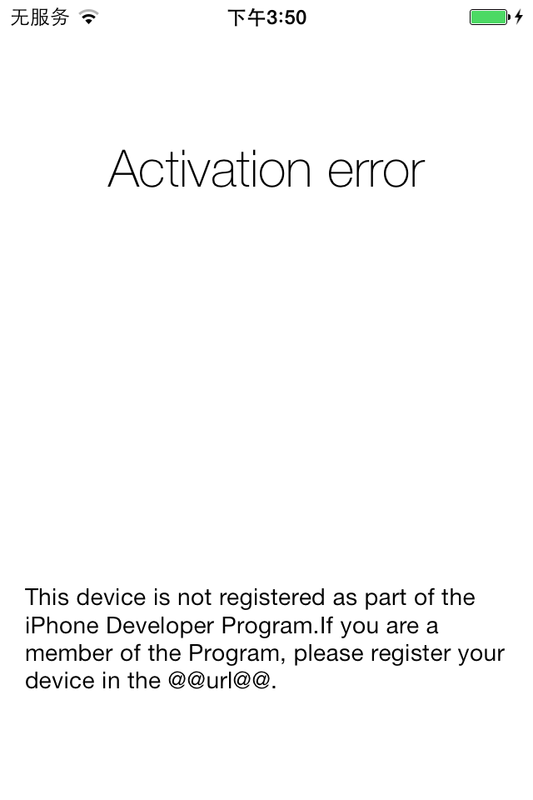 If you are a member of the Program, please register your device in the iPhone Developer Program Portal. Many people do not know what to do next, once they encounter an error similar to the one mentioned above, while installing the Beta version on iOS on their Apple iOS devices. If you are facing a similar problem, and if you are looking out for a working solution, then today we are here with a guide that will let you overcome this problem by reverting your iOS version to iOS 7.1.1 and then installing iOS 8 Beta version again. Download the latest iOS 7.1.1 version from here and save it somewhere on your desktop that is easily accessible. Launch iTunes from your PC. Now, connect your device to the PC and switch to the DFU mode. Once you have switched your device to the DFU mode, make sure that the display of your screen has turned black and does not display the message “Connect to iTunes”. Once you enter the DFU mode, a new message will appear on your iTunes screen which will say that the device won’t work until its restored. Click the OK button. Now hold on the Shift key on your PC and then click on the Restore option from the iTunes. Now select the firmware file that you downloaded earlier to your PC. Now the iOS 7.1.1 version will be installed again on your device. Connect your Apple device to the PC. Launch the iTunes app from your PC. Hold on the Shift key from your keyboard and then click on the Update button instead of the Restore button. Now select the iOS 8 Beta version firmware file that you must have downloaded earlier from a source. Wait until the iOS 8 Beta version is installed on your Apple device. You can view the progress from the iTunes app on your PC. And that’s it. You might now have solved the Activation Error while installing iOS 8 on your Apple device and installed iOS 8 again. Hope you found this tutorial helpful, if you did, please do not hesitate to share.